We will celebrate Navaratri with a indian classical recital of Raga Durga in the 2nd part. Parking garage on 2nd Street just north of Arizona Ave.
Vedic Chanting – to connect to the elements and existence. Kirtan – to express our heart’s emotions and to praise the Divine. 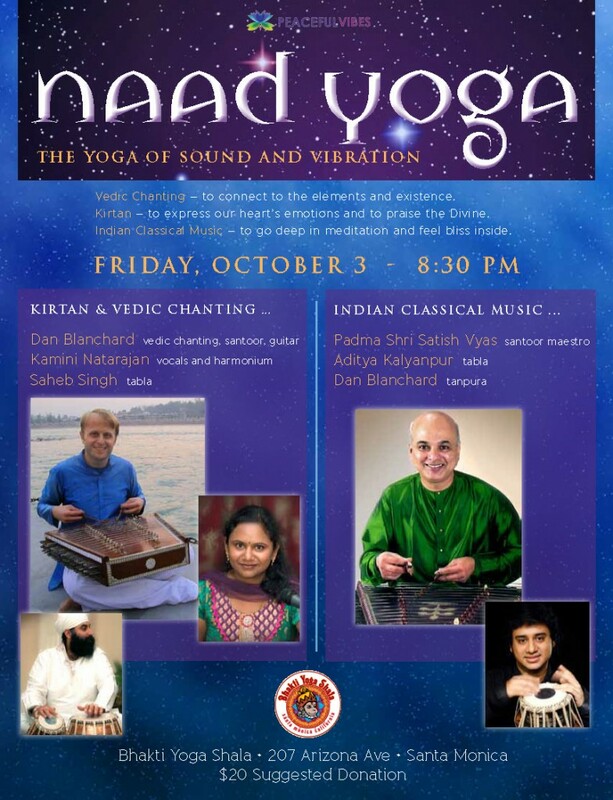 Indian Classical Music – to go deep in meditation and feel bliss inside.